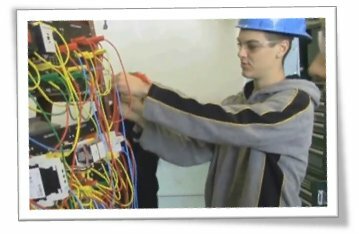 The Electrician (residential and Commercial) Program at Warren Tech prepares students for in demand careers as residential, commercial, or industrial electricians. The program also prepares students with a basis to build off of in an electrical engineering college program. commercial, and industrial, and electrical applications. Students are introduced to modern technology such as home automation and green technologies. 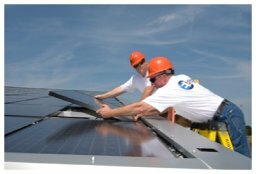 Students completing this program may qualify to enter into the IBEW Local #102 where they can earn up to 37 college credits. Graduates from Warren Tech’s Electrical Technology program will have an advantage in applying for a New Jersey electrical contracting licenses. Students in the Electrical Applications program gain experience under the supervision of the instructor. Students learn how to safely work with electricity. Graduates of the program will have the skills to pursue work as an independent or union electrician and will have a work experience advantage when applying for contracting licenses. 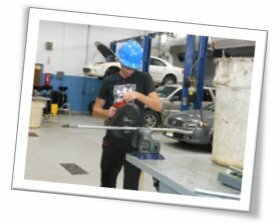 The Warren Tech Electrical Applications Career Academy provides students with a variety of pathways for students to pursue including College Prep, Workforce Ready, Entrepreneurship, and Trade Schools. Students enrolled in the Electrical Applications Academy at Warren Tech can begin preparing for two or four year college programs by pairing their skills gained in the shop with college prep courses. This program provides a foundation in electrical applications for students interested in exploring electrical engineering degrees. Students in the Electrical Applications Program practice their skills while competing in SKILLS USA in various competitions to include electrical construction wiring and Electrical Industrial Controls. Students in the Electrical Applications Academy are also prepared to pursue jobs upon graduating from Warren Tech. Students in this pathway will develop in demand commercial, industrial, and residential wiring skills that help them obtain employment with union and independent contractors or in the home improvement and construction supplies retail industry. Students in this program are assisted with job placement opportunities to include Warren Tech’s Structure Learning Experience (SLE) that allows students to obtain employment while still a student. Electrical Applications students in this pathway are also prepared with the technical skills necessary to start them on the path of owning their own company. Students considering entrepreneurship are encouraged to explore post-secondary education opportunities in Business to pair with the skills developed at Warren Tech. Students in this pathway also have the opportunity to prepare for trade schools such as Lincoln Tech and Triangle Tech. Students enrolled in the Electrical Applications Academy classes at Warren Tech will gain knowledge, skills, and experience in the field of electrical applications.